The excitement was building, as it has been for some time now within Addiction Recovery Care (ARC). ARC is gaining national attention for being one of the most effective companies in the US at taking someone from the point of crisis into a career. The feeling walking into Crossroads Church in Lexington, KY was electric. 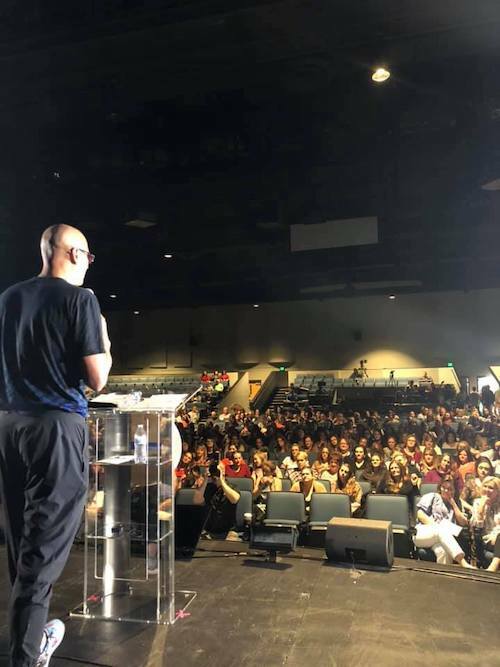 The crowd of over 1,000 including employees, family members, and clients stood up and cheered as the graduates of the “Voyagers” cohort, the Emerging Leaders program, and one graduate from ARC’s new Automotive Maintenance Program walked to the stage for ARC’s Peer Support Academy graduation. 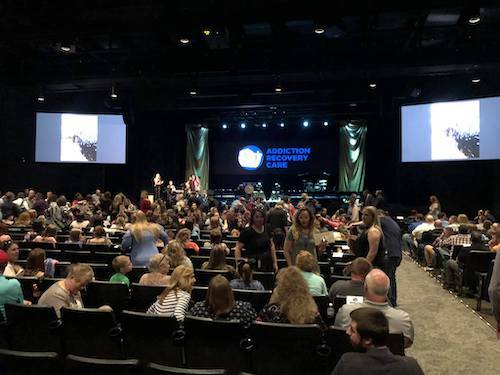 Over 700 people in the room were in recovery from substance abuse disorders and they were excited to see the changed lives walk up on stage. ARC started the Peer Support Specialist Academy (PSSA) in 2016. The PSSA is a program that contains six months of college-level classes that end with a certificate that allows the graduate to be a behavioral health professional. Emerging Leaders is a program that trains participants to step into mid-level management positions. Second Chance Auto, ARC’s automotive program, started as a way for ARC to provide maintenance to its fleet of vans, but since has opened to the public as a full-service garage and now trains individuals to be able to seek employment within the vocation. Since 2016 over 100 people have graduated from the academy, with over 80% of the graduates remaining successful. ARC defines success as being in recovery and employed. Something is happening in Kentucky, and ARC is leading the way. Opioids have loomed over our area for decades now but hope for a solution is here. 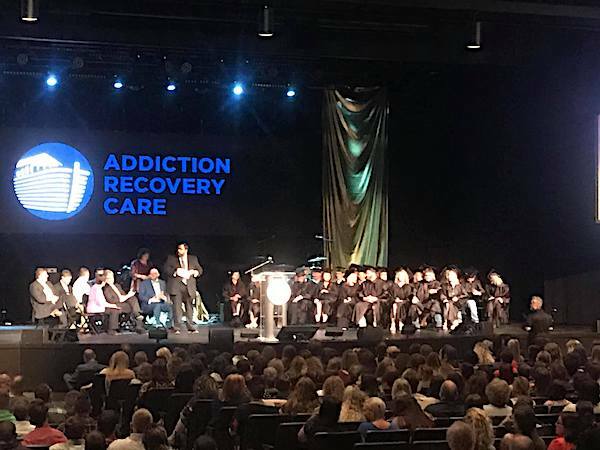 ARC’s “Crisis to Career” approach has proven to be an innovative and efficient solution to the epidemic of addiction. With 700 saved lives in the room, it’s hard to deny that miracles are real. 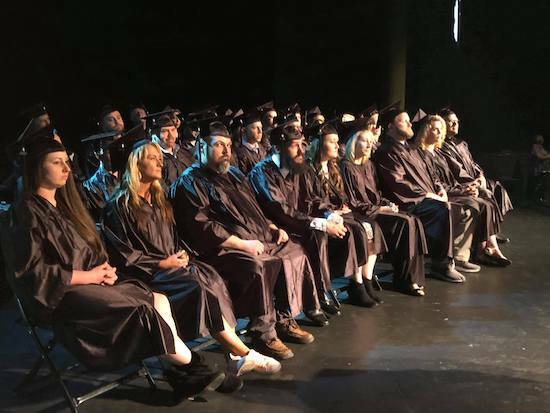 Jared Arnett, with Shaping Our Appalachian Region (SOAR), said, “To accomplish things that have never been done, you have to do things that have never been done.” ARC and the graduates on the stage are doing just that. I loved it! I am one proud momma as I watched my son ( Jeffery Fultz ) graduate! Also watching him as he gave his story! He was the only student speaker! I am so so proud of him! He has come a long way! Now I am happy to announce that I have been accepted into the Peer Support Acadamy as well! 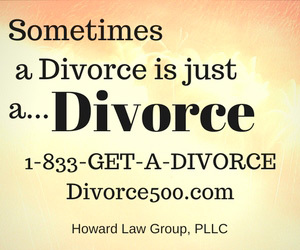 My families lives has changed for the better this past year since my kids and I found recovery. It’s a blessing! God is great! Keep up the good work ! You should be proud. I am proud of him as well. I love seeing changed lives. Congratulations!